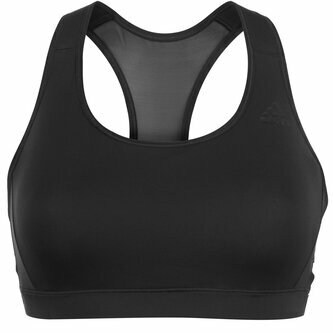 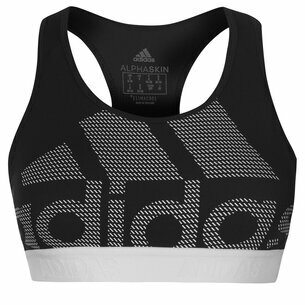 Step up your game and your workout gear with this adidas Racer Back Ladies Sports Bra in a Black colourway. 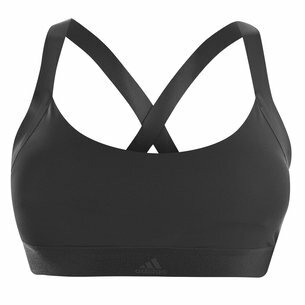 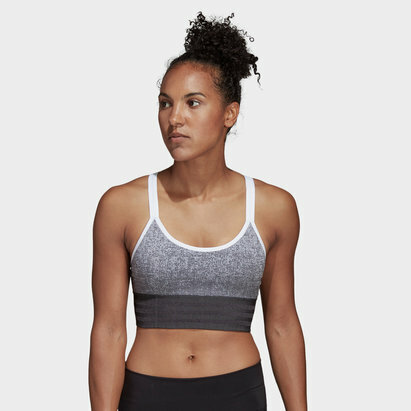 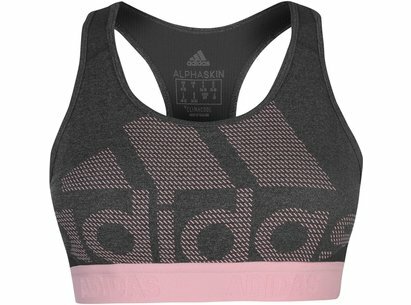 This adidas Racer Back Sports Bra is an ideal choice for your fitness wardrobe. 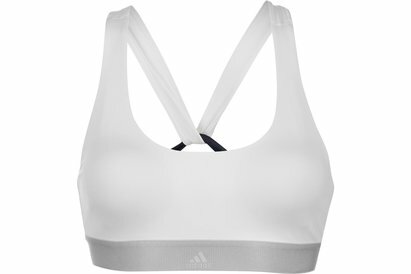 The bra features a mesh back panel in a racerback style, a regular hook fastening and an elasticated hem for a comfortable fit. 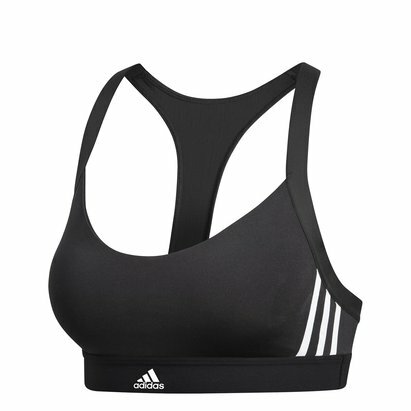 The built-in moulded cups offer regular support whilst exercising and add to the comfort of the sports bra.